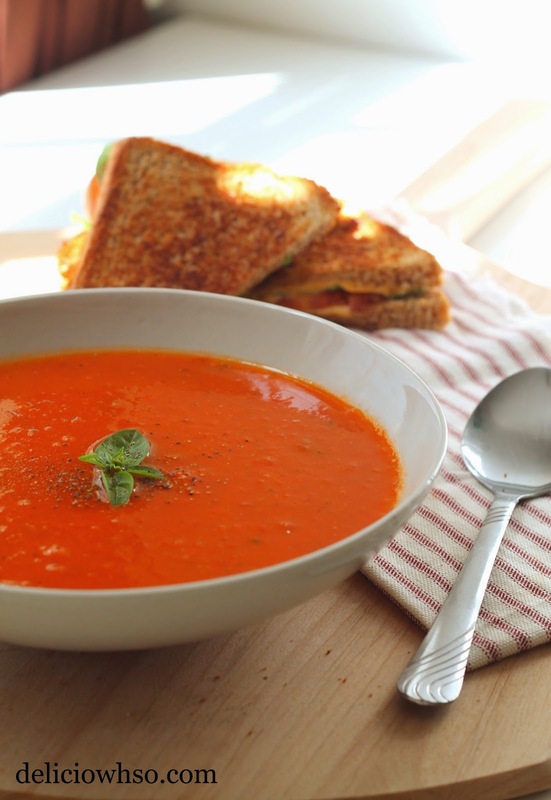 Many college students are familiar with the never-failing tomato soup and grilled cheese combo. It's a simple, cheap dish, and definitely one of my favorites. When I'm feeling lazy, I'll grab two slices of bread, two slices of cheese, a small handful of spinach, and a couple slices of tomato (attempting to make this healthy) to make a hot, melty, cheesy object of delight. Get a frying pan, melt some butter, and toast until the cheese is melted. 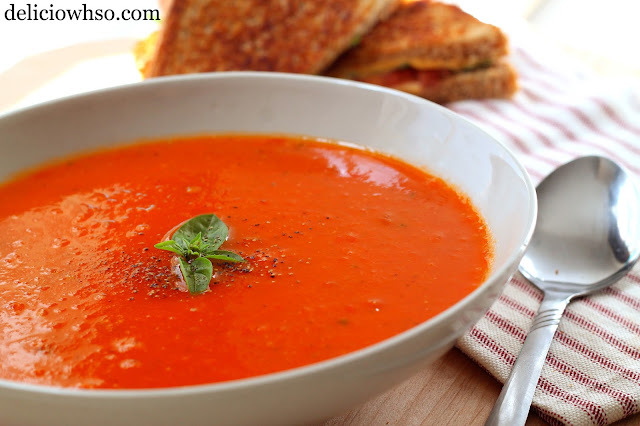 But with one of the most delicious, classic sandwiches, you need tomato soup! I had some tomatoes that were pretty close to going bad, so I took them and made soup! 1. Slice tomatoes into small pieces. I personally like seeds because they add extra texture, so I did not remove them. 2. Heat up a pot, and add oil. 3. Once hot, add garlic and tomatoes at once and mix. 4. Add garlic powder, salt, pepper, and chopped basil leaves. 5. Allow to cook down until tender, about 10 minutes. 6. Add water and mix. allow to reduce until slightly thickened. 8. Use an immersion blender or food processor or blender to puree the remaining tomato pieces until there are no tomato chunks. The tomato bisque is an interesting twist to the traditional tomato soup. It is very flavorful, quick, and simple. You can also reduce the tomatoes further to create a sauce that would go perfectly over pasta. Separately cook some onions, ground beef (season with salt and pepper), and mushrooms and pour the sauce into the mixture. Then add noodles and mix until the noodles are coated. This is a simple and inexpensive recipe that can be used for a lot of different food. Enjoy!